The NSW Work Health & Safety (WHS) Act 2011 and in particular the NSW Work Health & Safety Regulation 2017 requires that the presence and location of asbestos be identified, a risk assessment be undertaken and a register of asbestos materials be prepared and maintained for any premises containing asbestos. Furthermore, the NSW WHS Act 2011 requires that all premises containing asbestos have an Asbestos Management Plan (AMP). 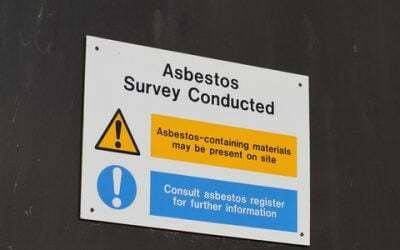 An asbestos register states the location, condition and risk of asbestos in your workplace. An AMP is about the safe work procedures and control measures you have in place for managing and removal of ACM and dealing with accidents, incidents or emergencies involving the ACM identified at the Site. The asbestos register must be readily available to workers, contractors, health and safety representatives, other PCBUs and WorkCover. Asbestos registers need to be kept up-to-date (e.g. if you have asbestos removed), and they must be given to the PCBU assuming management or control of a workplace when a workplace is relinquished or sold. An AMP should be initiated to ensure Site personnel and tradespersons undertaking works at the Site are made aware of the presence and location of all ACM and the Site procedures for managing the ACM and ACM incidents. 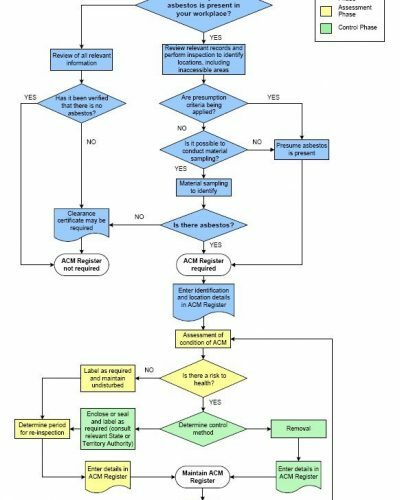 Emergency Action Plans for incidents involving the inadvertent uncovering or damage of ACM. Like asbestos registers, asbestos management plans must be kept up-to-date. They must be reviewed and revised if circumstances involving the the ACM change and at least every five years. The AMP must be readily available to workers, contractors, health and safety representatives, other PCBUs and WorkCover. The NSW WHS Act 2011 and in particular the NSW WH&S Regulation 2017 requires that the presence and location of asbestos be identified, a risk assessment be undertaken and a register of asbestos materials be prepared and maintained for any premises containing asbestos. Furthermore, the NSW WHS Act 2011 requires that all premises containing asbestos have an Asbestos Management Plan.